PROJECT: In some other countries rivers have rights. Expanding on the artists ongoing body of work focused on water & carbon, this latest project delves into issues around Australian freshwater sources and meteorological phenomena through an investigative drawing practice that combines experimental drawing and informal cartographies. 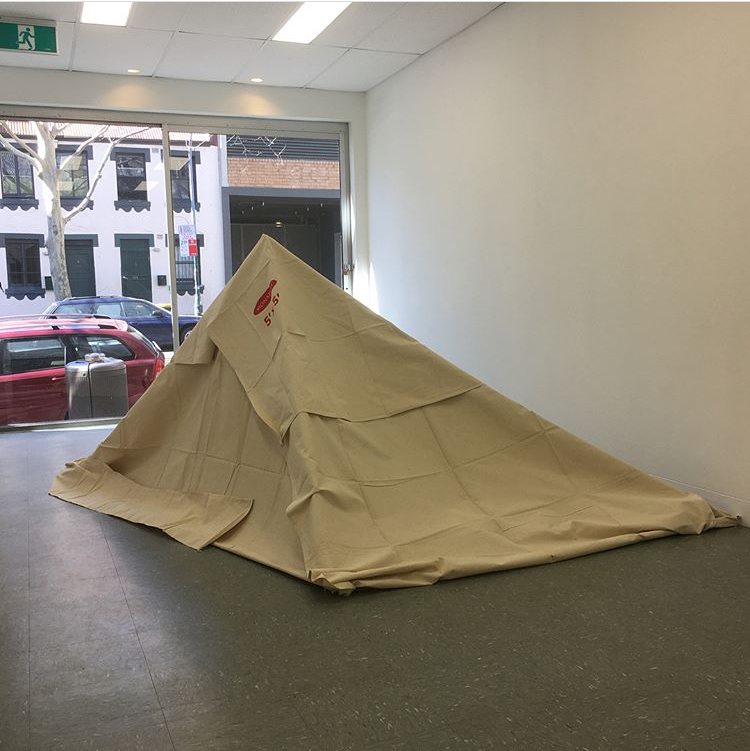 Louise Morgan is a Sydney-based emerging artist whose contemporary drawing practice engages in experimental drawing and installation. The core of her practice is informed by ecology and a desire to create works that seek to address the cultural and philosophical issues that determine humankind's influence on the planet and its various environments. 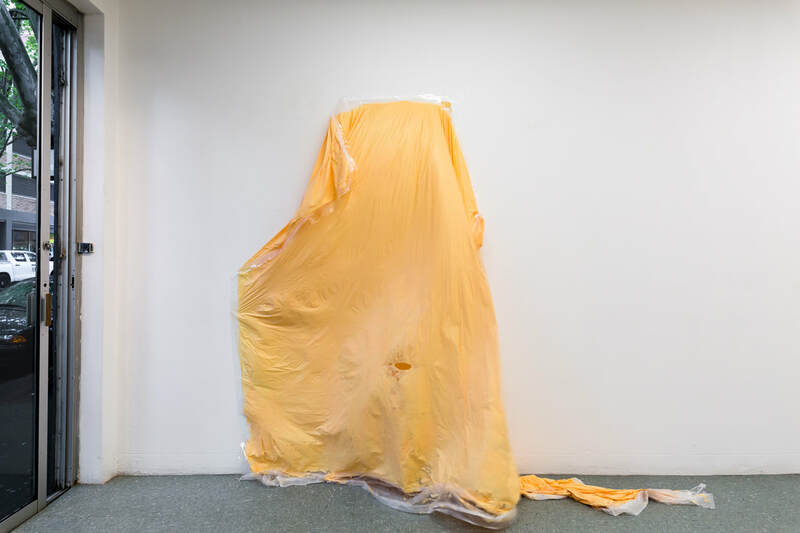 She is a MFA research graduate (2017) from the National Art School and has previously been awarded the Mark Henry Cain Memorial Scholarship (2016) and selected for the Perth Institute of Contemporary Arts’ ‘Hatched’ exhibition in 2015. Images courtesy of the artist Louise Morgan, In some other countries rivers have rights, 2019, (detail), paper, site-specific installation. In Material Explorations, I will stage an investigation into the convergence between mapping body movements and material forms. This will be done through the action of sorting and playing with a collection of materials and objects that have been made and transformed in the studio. By working with the inherent properties of materials and pushing their limits, the aim is to reveal the performative nature of art. An underlying focus is the activity of the body, as an agent to understand space and time, to respond to and be part of the world we are experiencing today. It is a continual exploration of thinking, feeling and relating to the poetics of daily life. My practice stems from an interest in our connection to place. The entanglement between nature and culture and how virtual reality has closely merged with actual life. Process is at the core of my work, which I explore through the intersection of two concepts; the body and materiality. How these are interconnected and what they can reveal about the human condition and the poetics of daily life. I see myself as a painter with sculptural concerns. 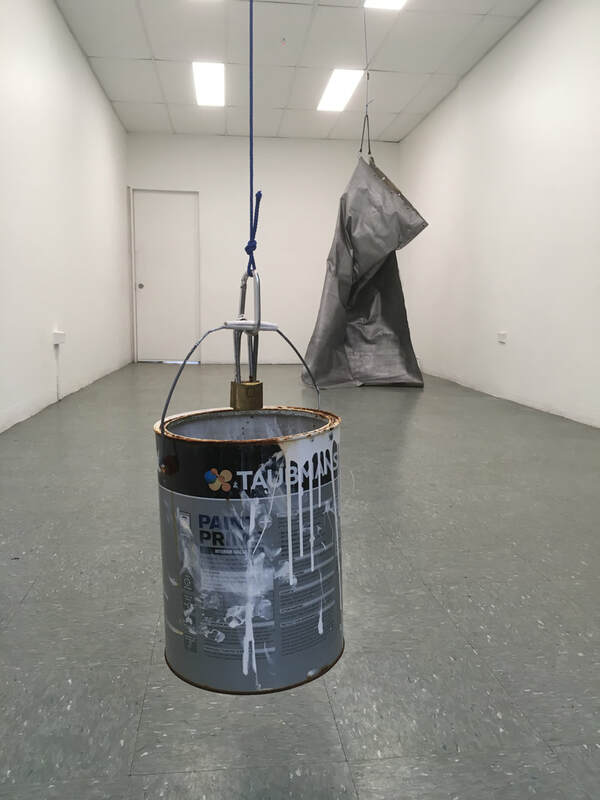 The distinctions between painting and sculpture, drawing, installation and performance become blurred in my work. Amongst all of this I am interested to see how far painting can be pushed and to think of painting as an event, as a process that becomes active in time, making it performative. Working in the space between painting and not painting, I aim to disrupt established codes of language in ways that allow new thoughts and understandings to emerge. Eva Simmons is a Sydney-based artist. In this body of work she has explored an imagining of one’s own gender transition as a ritualistic practice. of colour, form and composition. ​in three dimensions and experience its form and impact as a multidimensional sculpture. Brooke Louttit spent this time utilising the STACKS as Project Space to research how the body interacts with space and time in order to develop a new participatory performance piece to be exhibited at STACKS Projects in December 2018. ​of human manner, habitation and space. In this collaboration, Chloe and Zachary have created a site specific work which speculates the possibilities of exploratory mark making. 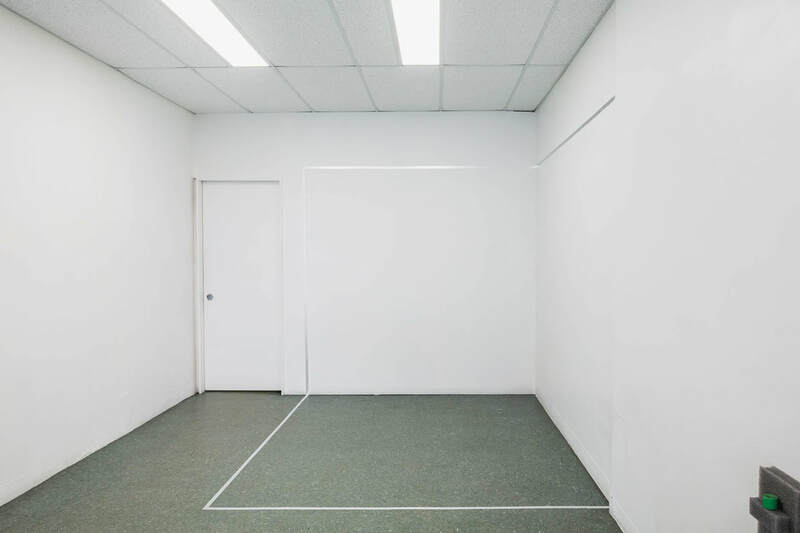 Zachary Harold is a Sydney based artist and director at STACKS projects. Zac’s current practice of drawing and installation investigates the interpretation and re-creation of spaces. His main concern is in the interpretation and recreation of spaces, for instance observing the space between things, specifically the way mundane objects within the urban landscape can relate or not relate to each other. The resulting works are a visual analysis of his sight; investigating the ways we can encounter and inhabit such spaces. In turn, the works take form through a rigorous contemplation of composition and balance. More recent works consist of larger-scale soft fabric patchworks and smaller paper collages, which impose upon the viewer a sense of spatiality, a series of fragmented forms or aerial perspectives meeting on the one plane. 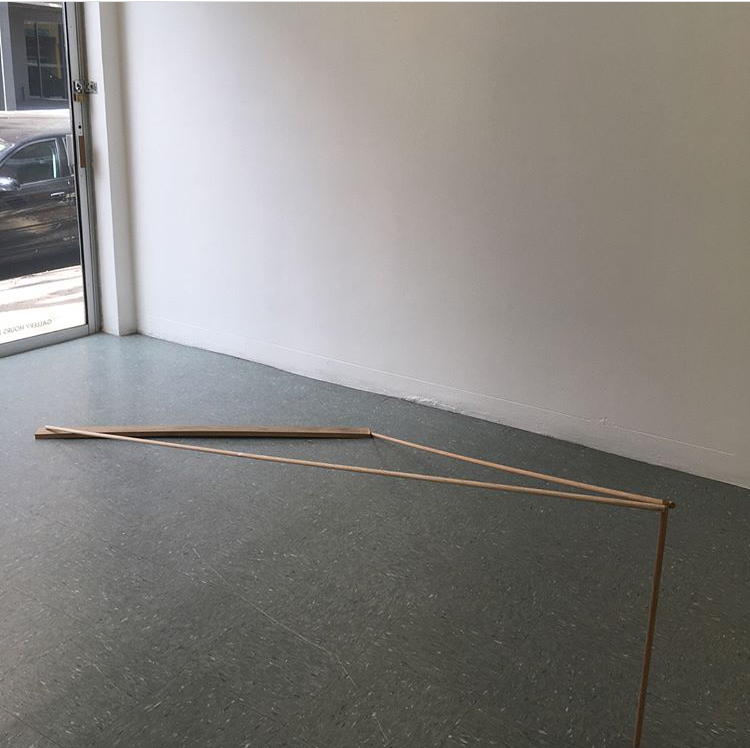 During his occupation of STACKS, Zac has explored ideas of spatial tension. The project consisted of a large scale soft fabric installation that presents itself as a voluminous obstacle in the gallery to highlight the negative space condensed between its edges as it presses against the walls. The viewer’s attention being drawn to the often overlooked peripheries of space. ​the measure ​into the gallery. The smaller works spatial artefacts are a compression of measuring and plotting and form a tangible memory of the artist's occupation and stack is a work in celebration of humble materials, the things that facilitate the artist's process.